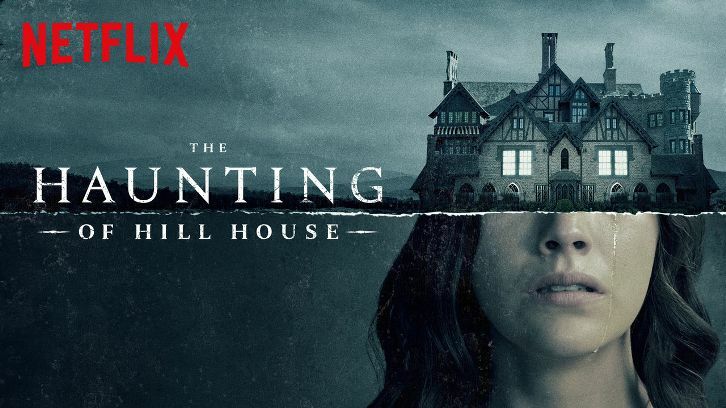 Movie Blurb(From IMBd): A reclusive author who went deaf as a teenager finds herself hunted by a deranged masked killer inside her isolated home, sending her into a dangerous game of cat-and-mouse in order to survive the night. I have been hearing a lot about this movie. Everyone seems to be watching it. Then I came across a tweet from Stephen King and he was giving it high praises as well. So of course, because of King’s tweet, I had to watch the movie and I am glad that I did! I didn’t know what I would walking into, with the main character being deaf. I thought it would be a retro silent film, to put you in the POV of Maddie. Luckily, that didn’t happen. Maddie is an author and she lives out in the woods, alone. You see little glimpses of what it is like for her, from the loud flashing smoke detector, to the silence of cooking dinner. Her only help in the world is feeling vibrations or seeing what is around her, which is where the problem comes in. A killer figures he has found easy prey and he begins his break down of this deaf woman who is all alone. I don’t usually like movies like this, but it was so well done. I like movies that are going to freak me out, which most of the time are the supernatural horror movies. But I am a lover of horror in any form and will give anything a chance. This is a simplistic thriller, just a killer and his chosen victim. By the end of the movie I was on the edge of my seat, hoping that Maddie would make it out of this alive, but then afraid it was going to turn out to be one of those horror movies where the bad guy wins. Overall it was a fantastic movie. The actors were fantastic and the thrill was a great ride. It had me wondering what I would do in the situation and how different things would have gone had Maddie had the advantage of hearing. There were a few times I caught myself yelling at the screen for dumb things that all horror movie characters do, but it wouldn’t be a good movie without a few dumb mistakes.